Up until a couple of years ago I lived in Islington, London. I worked as an inner-city school teacher, teaching youngsters year 10 through 13. Some of the hardships these children endured were shocking. Far too many did not want to go home at the end of the school day because school was the better option. But, their resilience was inspirational. When the doom and gloom, pedaled by journalists to make us all despair at the state of the world, got me down, a day at work would put it all in perspective. The young people I worked with were a tonic. Teachers are privileged people. I was reminded on a daily basis that the kids coming through, the ones that are going to inherit the mess that our politicians leave behind them, are just like we were. Bright, energetic, keen to grasp life and learning despite what we are constantly told to the contrary. Kids today are not, by any means, all knife wielding drug taking ‘hoodies’ with little respect for law, order or anything else for that matter. They’re out there of course, but they are such a tiny minority. Teaching reminded me of that, daily. Sadly, I became ill and had to retire from work, way way too early. I left the city, and the job I loved to move to Cornwall. I first came to Cornwall at the age of 3 and have such vivid memories of that time. My parents rented a house in Fowey. It was a little way along from the Bodinnick Ferry terminus We’d gather on the balcony, my brothers and sister and me, to watch the ferry come in below us. Watch the little boat with its powerful outboard manoeuver the floating platform, that could accommodate half a dozen cars, to the slipway. We’d wave at the Ferryman and the people in their cars on those bright, always sunny mornings. We could fish from that balcony, the cellar used to flood at the highest tide and it was the most wonderful house. The house is called appropriately enough, Ferry View and it can still be rented for holidays. Coming to Cornwall was a big decision but I haven’t regretted it. It’s not as sunny as I recall from childhood but then, I get to enjoy all the seasons here now. I moved into a cottage in the heart of the Cornish countryside, just outside Roche. From here it’s a 15 minute drive to the north and the south coasts and a great location. I’m now for the most part reliant on a wheelchair if I have to walk any real distance but I’m not going to let that rather annoying inconvenience stop me exploring this beautiful county, photographing the journey and writing a little about the history of the places I visit along the way. Some great photos on your site made more interesting by your narrative. I know some of the places you are visiting and enjoy reading your posts. I can tell from what you have written about the children who were your students and from the twist things have taken in your own life, that you know that we don’t always get what we hoped or planned for in life…but we do what we can to still enjoy it and find the beauty that’s there if we choose to look. You seem to have some resilience that is serving you well…and causing you to still cherish life. I’ve never been to your country, so it’s a pleasure to visit her through your photos. Thank you for sharing as you have thus far. I shall be visiting you often. Thank you, too, for visiting my blog today and for letting me know that you were there…for now I know that you’re here, too. I shall be visiting. It was a pleasure to visit your blog and thank you for taking the time to visit and comment on mine. Finding the beauty in the world and sharing it through the lens of a camera is very rewarding and I’m so glad I picked up the camera again. You are most welcome…and I will look forward to following your adventures. First of all, thank you for stopping by my site, and clicking the like button. I am now going to have a browse at your site here. I love your narrative here. It was a pleasure and thank you. your experience resonates on every frame you produce, there is depth apart from beauty. I thought you should have “the Versatile Blogger” award, for your lovely inspiring photos! Hello Chillbrook – just a little note to inform you that I have nominated you for the ABC Blog Award. I don’t know if you like to participate in this aspect of our blogging community, but I would like to offer you the award anyway. I thoroughly enjoy your blog’s content…it is always a pleasure to visit with you. If you choose not to accept the award, I will understand completely. Thank you again for sharing as you do. I truly enjoy your blog and look forward to visiting with you for a long time. Beautiful photos and a great eye you’ve got! WOW! Sorry I have not commented on this sooner, but please know that I am moved by your narrative and circumstances. I admire your courage and resilience, and thank you for your positive energy. That is very kind Mike, thank you. Thank you for visiting my blog Nancy and thank you for your comment. Enjoying your blog and identifying with a lot of what you’re saying. great story…and many wonderful photographs. Thanks for stoping by and following my blog. You have some beautiful photographs here. I am looking forward to seeing more. Thank you very much. It was a pleasure to stop by your blog and I’m looking forward to following it very much. You have some wonderful photos here and Cornwall is a beautiful place. It’s interesting to see the shots you have of places I failed to make anything of! Sorry to read about your wheels but good on you for not letting it stop you. And thank you for stopping by mine :-) I really appreciate your visit and your comments. It was a pleasure visiting your blog and I’m very happy to now be following your work. I am also a teacher that no longer teaches but learnt a lot from the young people… I adore your banner photo. Beautiful! I’m so glad I stumbled across your site; your images bring back so many happy childhood memories for me of happy holidays spent in Cornwall :) I will follow your blog and enjoy your beautiful work. I’m enjoying your blog and background narrative, giving substance to places I visited and those that I would like to . Chillbrook, I’m not sure what ended up happening with your camera woes, but Nikon has their new d600 up for presale. A full-frame camera, and expensive, yes, but not so much as others. May be worth looking in to. Take care. I’m sorry to hear you have to deal with that, since it must have been pretty frustrating, but if it meant you entering into the world of full-frame sooner than expected, I’d say it was worth it. Enjoy! Thanks James. I’m enjoying the journey so far. Just getting to know the camera and lens combination. Seems a match made in heaven. Will be posting soon..
Really thank YOU. I find the atmosphere of your blog wonderful. How lovely to be living in such a wonderful part of the country . I shall look forward to more …. as I follow .. Thank you. I’m looking forward to your posts! I won’t go into detail, my childhood was not much different. I hope your adventure in Cornwall has been and will always be a great one. I can see it is an interesting place to live, with some beautiful sceneries too. So, you are lucky to be there, I suppose. Thank you Subhan for your visit and for your comments. I want to let you know that I’ve nominated you for the Very Inspiring Blogger Award. To accept go to http://jimages.wordpress.com/2012/11/05/the-very-inspiring-blogger-award/ and follow the rules. Thank you very much Jim. I really appreciate that. You have a beautiful spirit, beautiful photos and definitely a beautiful blog. Lovely. Thank you very much indeed. Looking forward to your company. Thank you very much Katharina, that’s lovely to hear. Enjoying your blog – Cornwall is a special place for me. I’m sorry I haven’t taken the time to read your story before – but now I have! Beautifully written, and as I’m a teacher too, I understand that part very well. I went to Scarborough in June and met a lovely English teacher who I almost adore. You sound like her. I admire your determination and your work, your pictures and your writings. Thank you Ann. I appreciate your comment very much. I noticed you mentioned you got a D800 (in a comment) in September. I’m wondering if you still like it, as I’m in the market for a new body, and have heard the D600 has dust/oil problems on the sensor. Thanks for your visit. I had to return the first D800 I had for precisely that reason, there were, what appeared to be, oil droplets contaminating the sensor. I was able to return the camera without a problem (Amazon) and a replacement was sent. I love the camera. It is superb and I am fervently hoping this problem does not recur as I don’t know what I could replace it with. I suspect that this is a problem that has affected a few but not all D800’s as there seems to be lots of very satisfied D800 customers out there. Me included despite the problems. I hope that helps. Thank you, Adrian. It does help. If I get one, I guess I will have to be prepared to return it. Humbug, but what else can we do. My D90 is a wonderful camera and gives me no problems, but sensors, especially in the low-light range, have become so much better since then. I notice it more now that I am taking evening and starry-night shots. Your images are wonderful, by the way. Thanks for following my blog, I returned the favor! I like your photography very much! Hello mate, I have nominated you for the Beautiful Blogger Award! The rules will be on my next post. Obviously, I love your blog and you have been very kind to me , thank you. Scottie. What wonderful photographs. They serve as an inspiration for my own efforts. You have a mature sense of composition and color. Thank you very much. I really appreciate your comments. Thank you.I was a pleasure to visit. On Feb. 15, the U.S. Library of Congress posted on its Flickr page a series of color photographs of Cornwall. The photos were taken between 1890 and 1900. You might be interested in taking a look at these. Thank you very much. I will take a look. ((ChillB)) I had an inkling . I don’t want to write trite stuff on here . I was searching for a contact me form but maybe you don’t have one … but I do . You are simply amazing! I have always heard of Cornwall and plan to visit at some time. Your photos are remarkable! You need to give me advice! I travel and I want to take interesting pics too. I’d be honored if you could take a quick glance at my blog and advise on pics, etc. I’d be very grateful! Also keep safe, and I pray that your health improves and you are well! Cheers! I don’t know how you feel about awards, but you are one of those I want to give a star from Blog of the Year. I’m not into playing games myself, but this time I tried…There are not many things you must do to fulfill…but it’s up to you if you feel you like it! Do feel my gratitude and joy over your great work. Thank you very much Anne-Christine. I appreciate the thought very much indeed! A friend of mine in Australia has had MS for decades, probably over 30 years and is still one of Australia’s leading Blues musicians – Jim Conway who also plays with a rhythm and blues band Jim Conway’s Big Wheel. I’ll give you some links separately and if they disappear as spam, post them in mangled form. Thank very much for that. Very thoughtful of you Murray! Hi I wanted to thank you for deciding to follow the posts on my blog – sorry it took a while to send this, I’ve been a bit unwell for a couple of days. No problem Simon. I grew up in Aston End so I’m quite familiar with some of your locations. Living in Cornwall now, I still miss Hertfordshire sometimes. There certainly are. It is great for photography. It was a pleasure to visit your blog Robyn. Thank you so much for your kind words. It’s an all-too short journey before we pass into memory. A few realize to make the most of it before it’s too late. I hope you can continue to shape your journey for a long while yet. I don’t think one lens can do everything but I managed perfectly well for a very long time with an 18-105 kit lens. I now have a Nikkor 24-70mm f2.8 G ED and a very fast Nikkor AF-S 50mm f1.4G. I find the 24-70 covers me nicely for landscape work which is predominantly what I do and the 50mm is brilliant for portraiture and close-up photography. If I want to do some macro work, I use my 50mm lens with extension tubes. I’ve been considering a longer zoom lens but it’s not something I’m in a desperate hurry to buy for some of the reasons you mention. I know cannon have a similarly very fast 50mm lens and that’s the lens I would consider adding to you kit Andrew or perhaps as you’re using a DX format, a 35mm would be an equivalent. http://www.amazon.co.uk/Canon-EF-50mm-1-4-Lens/dp/B00009XVCZ/ref=sr_1_1?ie=UTF8&qid=1364320913&sr=8-1 There’s a lot to be said for a prime lens and with a 50/35mm you can cover a whole lot bases. I have a little panasonic compact which I usually take along with me if I’m travelling, always useful to have it handy. I am thoroughly enjoying studying your blog. And yes, teachers are privileged, something we must not forget to appreciate. Thank you for your candor, and courage, about MS.
Love your work; drop by more often. See you, harrie. I am glad to have “fallen” on your blog and looking forward to follow your posts… I am fascinated by Cornwall for quite a while already ever since I got to read a book with the place as a focus point of the story. A lot of readers probably told you something similar but I have a friend who has M.S for approx. 20 yrs now and is still going strong… walks everywhere, totally independent until now. She eats in a Macrobiotic way but not to the extreme. We hear more and more people who manage well this illness today. Thank you so much for your very kind thoughts. I appreciate that very much indeed. It was a pleasure visiting your blog. Thanks for visiting mine and thank you for your kind words. What a beautiful and inspiring blog you’ve created to share with us all. I look forward to stopping by again. Thank you Mary, that’s very kind. Thank you and it was a pleasure! thanks for the recent like on my blog. It is so refreshing to see someone who doesn’t let difficulties in their life stop them from moving forward. Your photos sre lovely. Keep up the good work. It was a pleasure to visit your blog Eddie and thank you. Thank you so very much for visiting my blog today. I look forward to perusing your blog over a cup of coffee. Thank you Melanee, I hope you enjoy the pictures. It was a pleasure visting your blog. I especially love the colours of your photos: Because they are so intensive, your photos look kind of unreal and misterious. I love that! Your pictures are amazing! Can’t wait to see more. As an ex-teacher, I read your ‘About’ and smiled. In so many ways, I think it’s the best job in the world (I’m afraid I gave up trying to fight the bureaucracy from the inside). Your photos look amazing and I can’t wait to see them pop up in my reader from now on. Congratulations on your ‘Introduction’ on Leanne’s Blog. Stunning photographs. Thank you very much Angi. I was so surprised and very flattered that Leanne should have chosen to showcase my work like that. She is very generous. I can only hope that one day I will be able to take such ‘wow’ photos. You are an inspiration.. Keep those photos coming!!! Very inspirational story, and I can see why your students treasured you as a teacher…your work is amazing, and it is clear you put in the time and passion to inspire others. Thank you. Thank you very much Randall. Appreciate it. 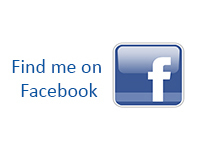 I clicked the “like” button a while ago but didn´t leave a comment – so now I´m doing just that! Your comments rang a bell with me – thank you for that and your simple courage! You have been one of my top followers and commenters on my Unas Picturas blog. I am really thankful for that! I am moving to another blog this year for a school project, and I would really value your continued support and commenting (and maybe even some more critiques!) as I am beginning a new journey with HDR photography. I truly find your end product inspiring and your work ethic as exemplary. Thank you for the compliment Jack. I will look forward to following your new project. Some amazing work. Look forward to seeing more! Love your work. I can’t see how to like the photo’s is that possible? Thank you Trevor, really appreciate that. Glad you found the link. Thank you very much Jim. I really appreciate your visit and your comment! Such a beautiful blog and pics…Uao stunning and also an inspiration for me! Thank you. Photography has certainly been great therapy for my. Have a great Sunday! You sound like an absolute gem of a person Adrian, how sad for the children to have to lose you. But how lucky for the rest of us that you can reach a wider audience with your photography. You work is wonderful, I’m so glad to have discovered it. Enjoy your posts, both your images and your words, and glad to see (as a fellow MS sufferer) that you’re determined to get as much out of life doing the things that you can, especially photography…. Ring the bells that still can ring. Thank you very much Mohan. Beautiful photos, I love the colours! I’ve got some great childhood memories of holidays in Cornwall too. Your photos are beautiful – keep on posting! Thank you very much. I have visited you ‘dungeon’ many times, I love your work! great site – great pics. Thank you very much Rajiv! I appreciate your visit and comment! The way you deal with your illness and go on with your life is amazing and comforting, Adrian. Your story is as inspiring as your photography. I love your tenacity and spirit. I hope to see many more gorgeous images. Thanks for your blog. Your photos and life story are an inspiration. Thank you Rob and thanks for your visit! Your story is inspiring and as a teacher of young children in my past career, I can appreciate your love of the profession. Photography is a wonderful creative outlet. Thank you for your comment Jane. Photography has really been my saving grace I think. It’s given me a new purpose and interest at a time I really needed one. I’ve enjoyed looking through some of your posts – your photos are extraordinary. 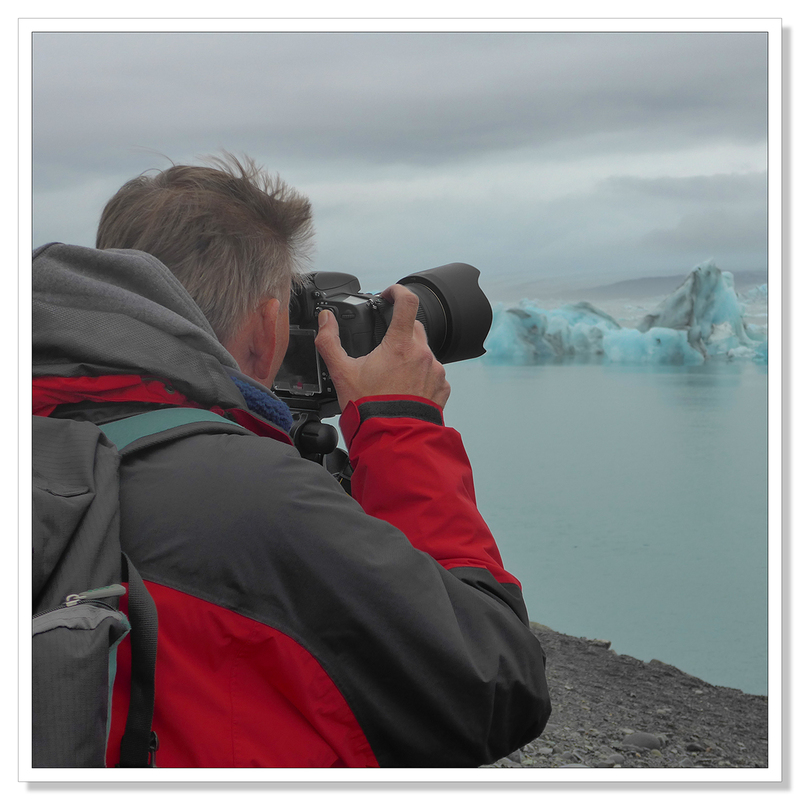 I look forward to following your blog although your photos and description of Iceland made me experience the cold! Thank you very much Carol! I’m happy you’re feeling something, the cold is very intense..! I found your story very inspiring and a great read. I have to visit Cornwall now ! I stumbled upon your wonderful blog by following a WP link as “followed by sites I like.” I’ve just spent a wonderful few minutes looking at your lovely photos and reading your very inspirational story. I don’t know how you physically manage to get the shots you do, but I’m delighted your able and that you’re sharing them with all of us. You’ve got yourself a new follower and I’m looking forward to browsing your blog more and to see the new posts you share! What a lovely comment, thank you so much Stacy. It’s my absolute pleasure, Adrian. I came across your web page today and what a find. My wife and I spend a lot of time in Devon and Cornwall in our caravan and it was great to find your sight. I recently spent a lot of money on a 11/16 mm lens for night sky/ landscape and was a bit worried about it, but seeing the photos that tookhave taken at 14mm has made me realise that I have made the right decision. Your milky way tutorial was first class and its great that you add the settings that you used to take the shots which really helps noobs like myself. Lastly I would like to say how sorry I was to read about your illness. A friend of mine has just been diagnosed with ms and he is devastated. Keep up the great work fella. Your an inspiration. Thank you Andy! I really appreciate you taking the time to comment like this. It’s so nice to hear when a tutorial you’ve written has helped someone like yourself. I’m sure you will get a lot of use out of your lens. My 14-24mm is a permanent fixture in my kit bag! Good luck with your photography! That’s a mean disease. Your photography, though, is gorgeous. Wishing you well. It’s amazing how many so crucial emotions you can create in your photos. Thank you, I always has pleasure to watching your pics. Hi! you have some outstanding clinks in here. I only wish you’d let us comment under each of your pics. Mind blowing stuff! Thanks to Dina who led me to you! @chillibrook – thanks for taking it positively :) If you are not too particular about your current theme, you can explore other options under themes that will enable you to add comments section. Do explore the widgets under the current theme (settings) & see if this option needs to be enabled. What an amazing blog, your photos are spectacular. Our histories are similar in that I taught for over 20 years in a school in an area of multiple deprivation as the powers that be call it. I loved every minute and the kids and majority of families were wonderful ~ except the odd drug dealers, racists and thieves! I too had to retire too early due to ill health but thankfully I am well enough to care for my husband who is in a worse state than me! he uses a wheelchair. It is still a beautiful world and the blogging community is a great support and audience for our creative outpourings. Good luck in Cornwall ~ you chose a beautiful place to live! Hi. Just stumbled across your beautiful blog. 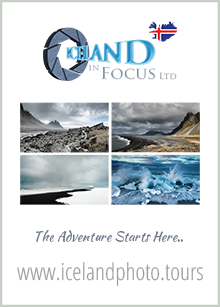 I lived in Iceland for 5 years in my twenties and so enjoyed the images on your blog of that beautiful country! Really enjoyed your photos and your story. Will keep looking in as the images are wonderful. Hi Adrian, I wanted to leave a note after reading this page. You’re an inspiration and a force of strength. Stay that way, strong, resilient, and keep showing us the world as you would see it. So happy to see the book cover. That photo is terrific, foreboding with malice! The media are to busy sensationalising the bad bits that the average is ignored, and even the good stuff is only mentioned if it really stands out. But if we stand in our own truths, as your photography does, then it is a beacon…and for the right reasons. Thank you very much Maek! I really appreciate your comment. Hi Adrian, Thank you for following Jane’s Lens. I hope you enjoy my work. Your story and blog are inspiring. VEEEERY Good posts, beautiful blog. I’m sorry to hear that you are not well. I know what it feels like to be a prisoner due to illness. Hello Mike, Thanks for your comment. I use Silver Efex Pro when processing black and white pictures. This set of filters is part of the Nik Collection that can now be downloaded free from Google. Lots of filters and effects to play with in there. You can use the filters with both Lightroom and Photoshop and recommend them very highly although it is easy to overdo things a little so a light touch is best. Your courage and resilience are an inspiration. Thank you Robert. I’ve never been one to just roll over. I know what you mean. Some of us have a warrior spirit. It’s a gift.